Offers an online certification program, where you can become certified in the most popular web topics. State-of-the art online courses in sustainability concepts for use by corporations, K-12 schools, colleges and universities, and individuals. Teaches Internet research skills and presentation technology. A wide range of free technology tutorials. 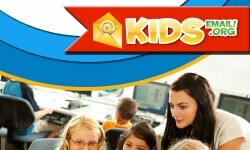 TechnoKids Computer Curriculum is a collection of technology projects full of Microsoft Office activities.